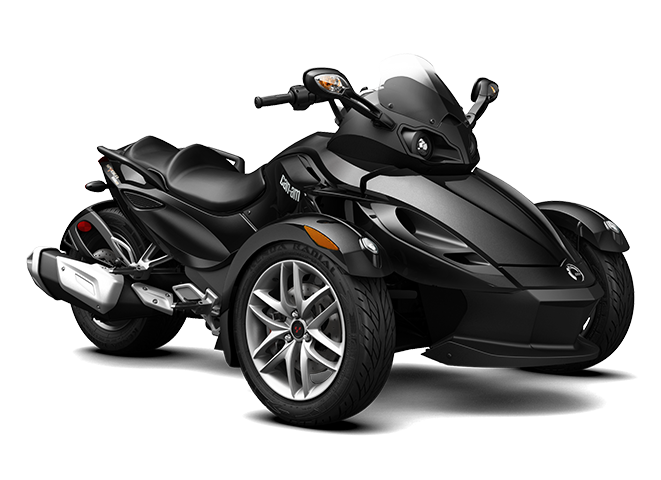 The Spyder RS is as eager to hit the road as you are with a dynamic Rotax V-Twin engine and a sport-riding position that makes accelerating and cornering a blast. 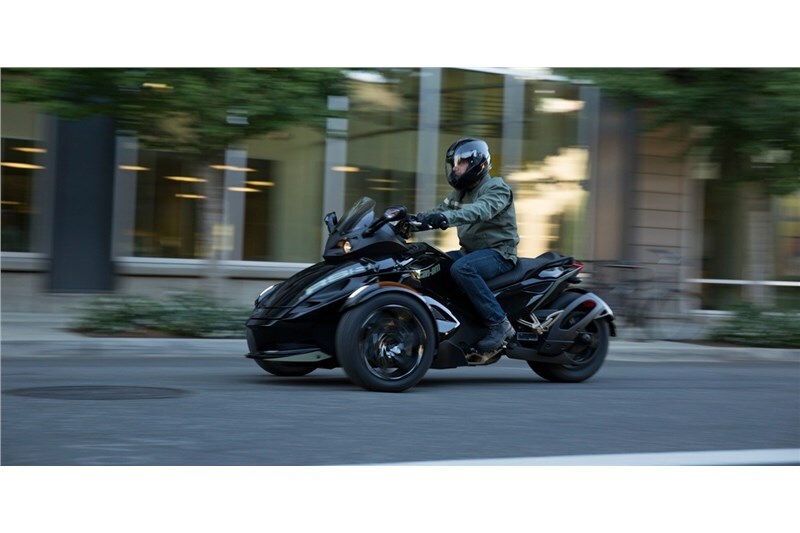 With 998 cc, the powerful Rotax V-Twin engine delivers crisp acceleration and plenty of torque. 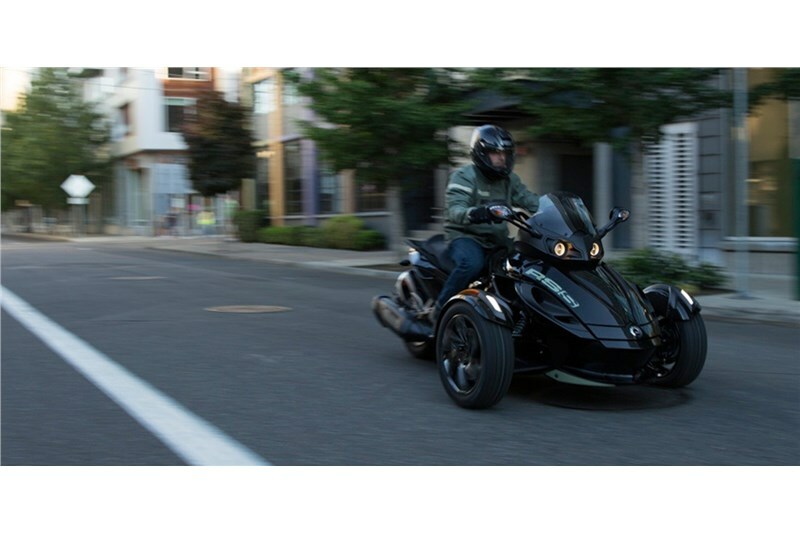 Its electronic throttle delivers instant response and optimum fuel economy. 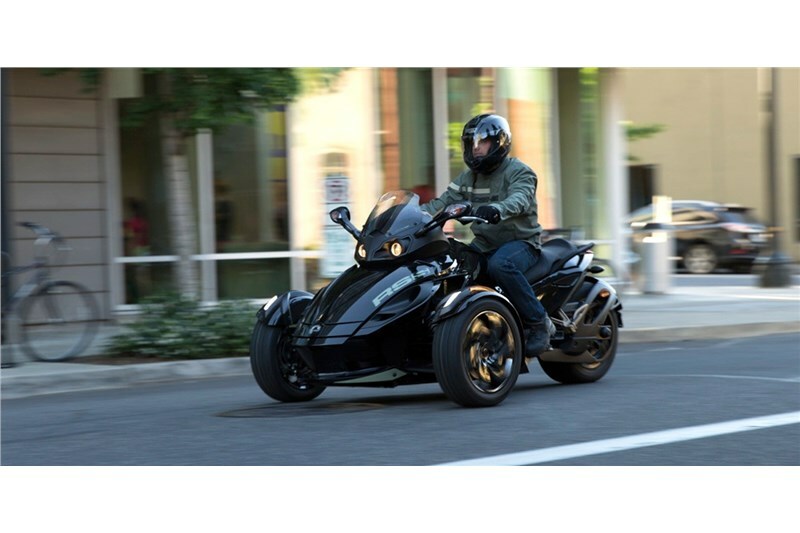 This manual transmission’s fluid motion stems from the 5-speed gearbox has been created specifically for Can-Am Spyder. Sport-tuned gas-charged front shocks feature anodized-aluminum bodies and threaded preload adjustments. Keep your gear safe and protected. The trademark lockable front cargo space features 12 gallons (44 L) of watertight space. The low profile design contributes to the vehicle’s performance look. Metallic Silver, twin-spoke wheels and low-profile tires with exclusive tread pattern delivers better road feel and cornering while adding a striking look. 1 gal (3.8 L) approx.